One-time capital of the Timurid empire and seat of learning and the arts, Herat has flourished throughout history as a rich city-state, and been repeatedly fought over. The city is as much Persian as it is Afghan, and wears an air of independence as the country’s old cultural heart. Herat’s place in history has often been overlooked in favor of Samarkand and Bukhara, but its inhabitants are proud of their past and the city’s reputation as a place of culture. Many of Herat’s historic monuments are in a sorry state, ruined by British and Russian invaders, but with its Friday Mosque (Masjid Jami) the city still possesses one of Islam’s great buildings. Herat is the third largest city in Afghanistan, located in the north western part of Afghanistan. The city has a history of more than 3000 years. 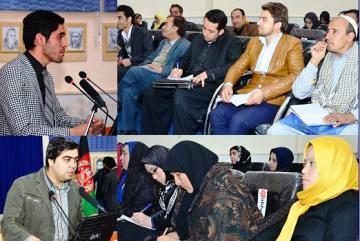 Since more than one decade, the South Asian Foundation (SAF) and the UNESCO-Madanjeet Singh Center for Preservation of Afghanistan’s Cultural Heritages (UMCPACH) have organized several training courses toward growth and improvement of cultural activities and protection of Afghanistan’s rich cultural-natural heritages and introducing of its moral and material values. SAF-Afghanistan chapter considering Herat as one of the centers of culture and civilization in the country, organized two week course on “Dissemination of Cultural Heritage Preservation” in cooperation with provincial directorate of MoIC, aiming at rising awareness in protecting the province’s rich cultural heritage and natural landscapes in a time that the world, in particular middle east countries faces with destruction of their cultural heritages by the so called extremists and ISIS militants. The Herat’s provincial directorate of MoIC and UMCPACH conducted the course with financial support from SAF and the trainees were taught subjects on Afghanistan history, introduction of the country’s cultural heritage and natural landscapes and the ways of protecting and preserving of such heritages. 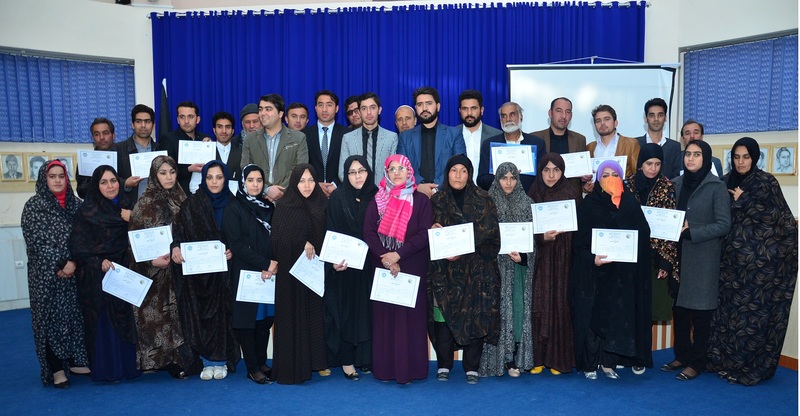 The course was organized from 9th to 19th of November 2015, with participation of the Herat’s civil society activists, high school teachers and the provincial employees of MoIC. SAF also provided them the scientific tours around the city to closely observe the excavation process and to further learn about their country’s cultural heritages. At the concluding ceremony of the course which was held in provincial directorate of MoIC in Herat with participation of large number of culturist and members of civil society activists, appreciating cooperation of Herat provincial department of Information and Culture for better coordination and organizing of the “Dissemination course”, Hamidullah Arefi, secretary to South Asia Foundation in Kabul, said that of the four chief cities of medieval Khorassan , three are largely gone; the owl and the lizard keep the ruins of ancient Balkh, Marv and Nishapur. Only Herat still presents a substantial and lively city on its original site, with sufficient architectural remains to convey a sense of continuity with a more glorious past. “In 1970, we marveled at the exquisite telework of the Friday Mosque (Masjid Jami) and Gowhar Shad’s mausoleum; admired the ruins of the old citadel, which had been the seat of power in Herat for over 800 years; pay our respects to the memory of Khwajah Abdullah Ansari, a celebrated Sufi poet and philosopher who is buried at Gazar Gah", Arefi said, adding that much of these heritage has survived the turmoil of the past quarter-century, but it is clear that damage has been heavy. “The mausoleum, it appears, was virtually demolished by Russian shelling and civil war and is now being re-built under UNESCO auspices”, he said, adding that such dissemination courses are crucial for the country, as our cultural heritage faces once again the threats of demolition by the extremists and the so called ISIS militants. Calling SAF’s “Dissemination courses of cultural heritage preservation” unique in the country, the acting director for Information and Culture of Herat, Zarghoon, stressed on such programs to be continued and asked for extending such courses to the districts of the province. “We appreciate the SAF’s unique initiative and meanwhile asks the foundation’s officials to further extend the courses to the districts of the country so that our cultural heritage remain far from demolition by enemies of our country’s rich cultural heritages”, Zarghoon added, saying that with the cooperation of people and rising further awareness we can achieve the goal of protecting our cultural heritages. Ms. Fariha Ghawsi, one of the participants talking in the event said: “We thank SAF for providing us such opportunity to further learn about our heritages. We remain committed to safeguard cultural heritage and natural landscapes”. Ms. Fariha asked SAF to extend the date of such courses and provide publications on our historical monuments and natural landscapes. “This course was unique and totally different from other programs which I have attended previously and I was taught many issues on cultural heritages that worth to thank from our teachers and South Asian Foundation that supports such extraordinary effective programs.” Najib Jamshidi, Herat civil society activist added, stating that SAF should extend the period of these courses so that further teachers would be able to attend it and collect essential information and pave the way for scientific tours to participants to acquaint with cultural-historical relics.